The first time I saw Childish Gambino was the “Freaks and Geeks” music video. It was a minimalistic one-shot in an abandoned garage and he was a young, jubilant fireball that had a bad cause of rapper hands. The rap reminded me of a tattoo-free, suburban Lil Wayne, but I liked it. I was in. I was watching, and I kept watching. And what I&apos;ve been watching over the three years since "Freaks and Geeks" came out is the development of an artist now consistently making the best, most compelling, most interesting videos in music. Case in point: while the world was intoxicated over Bino’s “Sober” music video last week, I was trying to connect the dots. 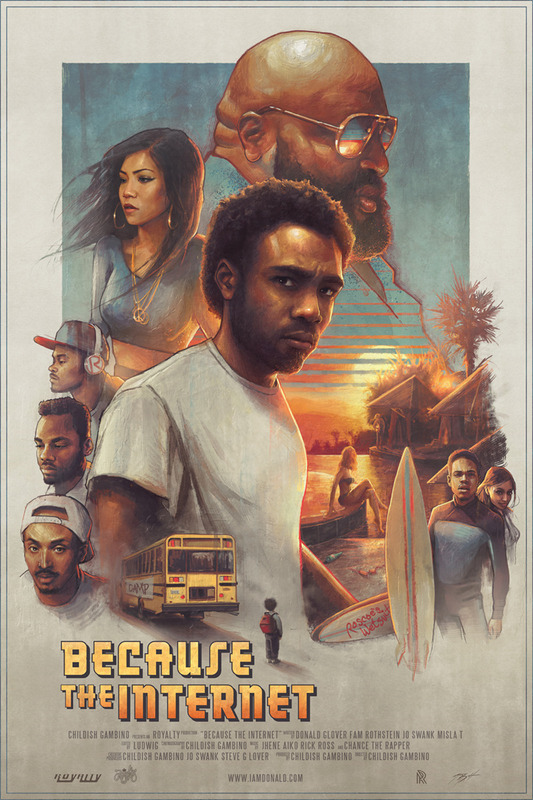 To most people, Gambino&apos;s last album, Because the Internet, was just an album, but to fans and those who cared enough to really look, it was also the soundtrack to a screenplay that Childish wrote and released. The screenplay&apos;s story, and the “Boy” character, actually started at the end of his debut album, Camp. The final song of Camp, "That Power," ends with a coming-of-age narrative that details a nameless,13-year-old boy facing rejection, heartbreak, and ultimately enlightenment on the bus ride home. That&apos;s where the Because the Internet screenplay picks up, with The Boy getting off the bus, picked up by a chauffeur and his father, who just so happens to be Rick Ross. But now, re-reading the screenplay, all the dots are (almost) connected. 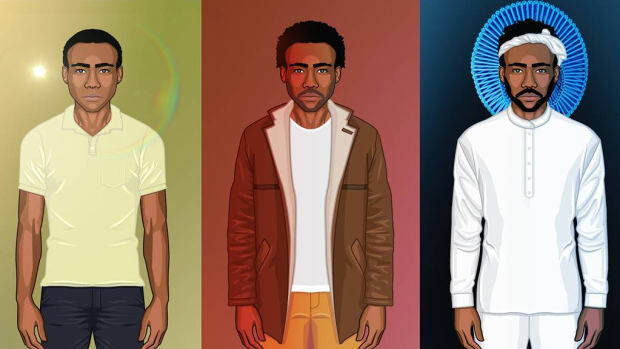 Clapping is both a look at the creative process of making Because the Internet the album and a bridge between Camp and Because the Internet; it&apos;s 15 years later and The Boy being picked up from camp is now a grown man, or maybe more accurately a man stuck in a sort of perpetual adolescence. While the story in Clapping doesn&apos;t appear in the screenplay, all the same details are there: the Buddha statue, the infinity pool, the spiral staircase—the person that calls at the beginning of the movie is likely asking for Rick Ross, the owner of the mansion. And that&apos;s where the screenplay picks up. (Seriously, if you haven&apos;t already, go read the screenplay. This will all make more sense, I promise.) 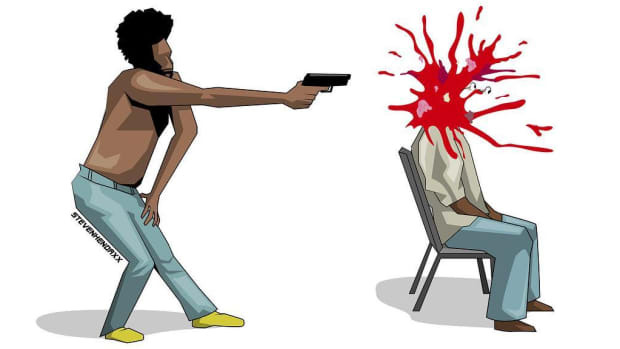 The premise behind the screenplay was that the album&apos;s music would match the script perfectly: play Worldstar during the club shooting scene, Urn during the scene when his father dies, etc. In that sense, Because the Internet was actually less like an album and more the soundtrack for a movie that hadn&apos;t made yet, although Gambino has been making that movie, video by video, over the last five months. Things haven&apos;t been going according to script through. The album and script were supposed to form an interactive experience, going back and forth like a modern-day flipbook, and so it only seemed natural that the videos from the album would fall in line too. Shouldn’t the video treatments be an extension of what’s been written? But instead, the music videos have been purposefully different. Take "3005." The script has the song playing during a wedding scene; fittingly it does sound like wedding vows if you remove the morbid and worrisome verses. Instead of capturing that wedding imagery though, we get a Ferris Wheel with only Childish and a teddy bear in focus. The bear is silent, blinking, and his head moves as if he was Gambino’s thunder buddy. Gambino raps without acknowledging his companion and when the hook comes in, the camera zooms into his blank expression, capturing their surroundings before refocusing back on the original subjects. You notice that the bear has been attacked at the beginning of his second verse, and by the end of the second chorus, he’s been brutally beaten. 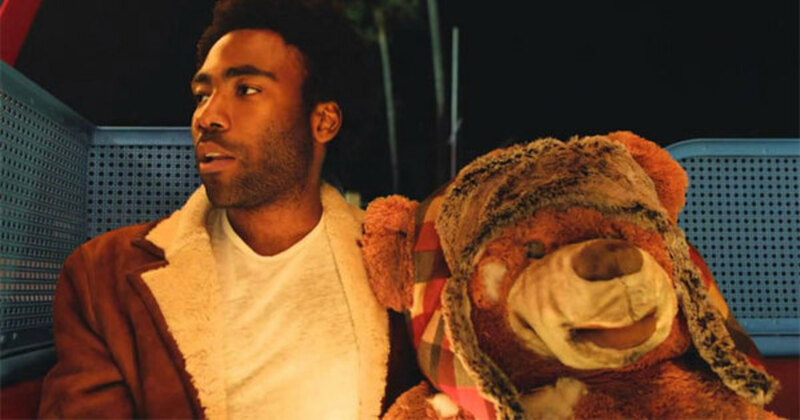 There have been many speculations about what this means, but my favorite is that the bear is a representation of Gambino’s childishness and the death of his innocence, but that has nothing to do with the script. There’s also a very suspicious fire in the background. So many question and possibilities. "The Worst Guys" is another instance where the music video concept diverges from the script. In the script, there’s a huge party going on at The Boy’s house. 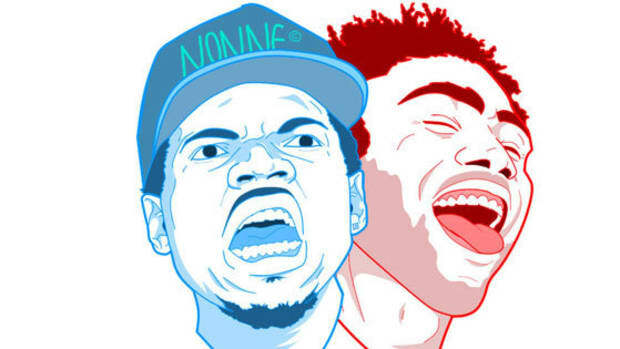 Marcus, who is played by Chance The Rapper in the story, just fucked in a steam shower and compares the climax to busting one in a Prince music video. (Not really sure I understand the reference, but that’s something that should’ve been committed to video.) The Boy, meanwhile, is put in a predicament where he’s in his father’s room, with two girls who only want…well, the song says it all. The video, on the other hand, is essentially just a beach date with friends that more closely matches the "Crawl" scene from the script instead of "The Worst Guys." 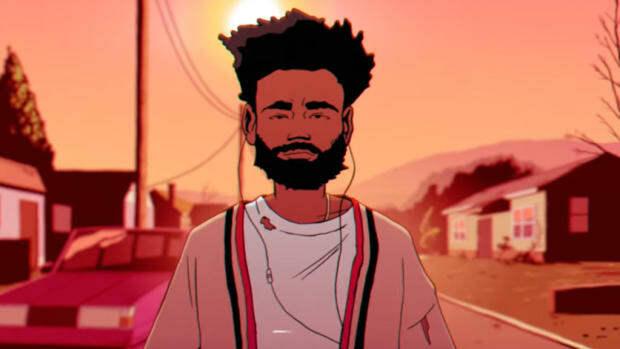 Weed, friends, at first glimpse it seems like the most friendly and straight-forward video Gambino&apos;s released; maybe he got tired of the complex world of the album, script, and videos and just wanted to make a cool video. But look more closely. At 1:45 and 1:48 there’s something noticeably wrong with his leg—why? 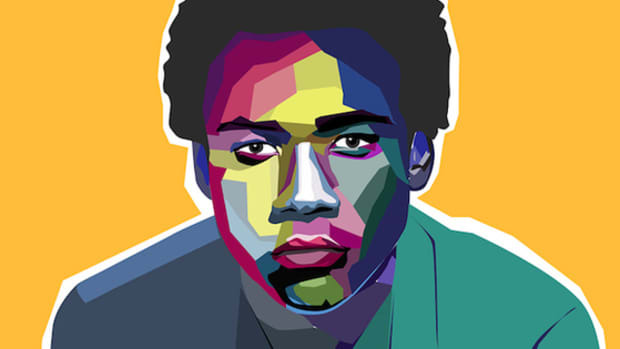 Things are never as simple as they seem in Gambino&apos;s world. I thought about the possibilities that The Boy and Childish Gambino are unrelated, completely different people, despite having the unkempt afro and signature white tee, but to an extent, "Sweatpants" killed that theory. In the script The Boy orders 12 bottles in the club, I’m going to assume a combination of Rozay and Ciroc, before heading to a dinner with his boys. And here the music video echoes the script; there’s a diner, a group of friends, but of course there’s a twist. Gambino walks through multiple times in a weird loop-like state. Putting a quarter into a jukebox, checking his cell phone outside, and rejoining his friends. After each loop, his surrounding slowly begins to resemble him. By the video end, he’s literally standing in a room where everyone is wearing his face. It’s a freaky sight, completely unorthodox, but oddly humorous. The final video released from Because of the Internet, "Telegraph Ave" is where everything goes from zero to over 9,000. Jhene Aiko is his co-star, but in the script, her character Naomi doesn’t come into the story until toward the end; "Telegraph Ave" is the soundtrack for his trip to an old flame. There’s no romantic utopia, no gorgeous setting, and definitely no alien. The music videos, by contrast, were utterly unpredictable, from romantic-comedy to sci-fi horror at the drop of a hat. Was this a glimpse into The Boy and Naomi&apos;s future? Some completely different story? Bino has yet to comment on the revised edition of his script, so we&apos;re left to guess and hypothesize, which I can only assume is the way he likes it. In a way, it’s like a movie that diverts from the book. The music videos have been maintaining an overlapping but also separate storyline, where The Boy is everything but a boy. There are some common themes running throughout all of Gambino&apos;s work that provide some clues—for example, water. Similarly, the script comes to a close with an open ending. What if the boy drowned, and while in the water an alien took over his vessel. 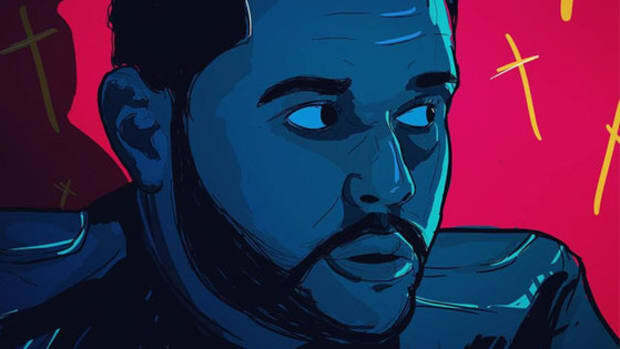 What if “The Boy” is nameless because he was never born, and Rick Ross is the leader that aliens spoke to when they finally decided to show themselves? He is the biggest boss thus far. That would make “The Boy” a foreign exchange student from Mars. What if the “gold tooth” from Clapping for the Wrong Reasons has to do with eating Trinidad Jame$!? Alternative realities, parallel universe, the possibilities are pretty endless, and once you scratch the surface of Gambino&apos;s art it&apos;s not hard to quickly find yourself wearing a tin foil hat, tumbling down the rabbit hole. But even if Gambino has averted completely from the script and his followers have found themselves in quasi-conspiracy theory territory, his videos do have a stable common ground, an internal common theme. In every one there’s a false sense of normality, the ordinary is temporal before the paranormal unveils itself. This concept reminds me of his infamous Instagram post when he unveiled some personal thoughts that sat on the rim of his mind. Before that, we saw Donald Glover as this hipster actor, decent rapper, funny comedian, and quickly that changed to questions about his sanity and possible suicidal thoughts. He also conveys this false sense of knowing in his videos and quickly flips the scripts. Sometimes it’s subtle like the suspicious fire in the background of "3005," or like his latest video, "Sober." The setting is a fast-food, diner-esque establishment. It’s late night, and Bino seems to be completely intoxicated. He attempts to charm his way into the arms of a young woman awaiting her food, he totters between being creepy and charming, the video could’ve simply ridden this course until the end. 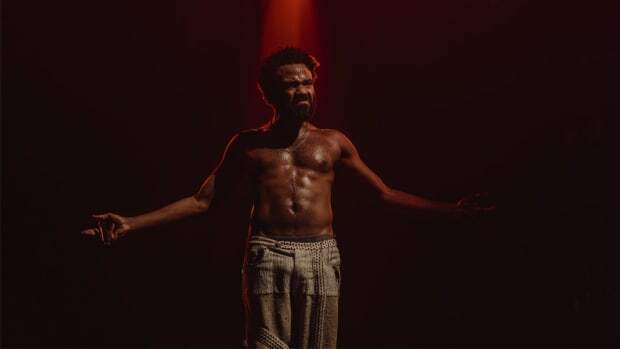 But then a random pigeon flies out of his shirt, cracking an egg with a message on the inside, Gambino hits an impossible Matrix-esque dance move on the table, the lights flicker, it’s like something ominous and supernatural is omitting from the eccentric gentlemen. "Sober" is from the Kauai EP, the musical sequel to Because of the Internet, and it hints that the Kauai videos seem to be writing the next chapter in the story. Or maybe, in retrospect, the "Telegraph Ave" video more closely related to the themes of Kauai than Because the Internet—could there be another screenplay coming that will make sense of this all? One that will connect the dots the way Clapping turned out to connect Camp and Because the Internet? Right now I have far more questions than answers, which in many ways is exciting. 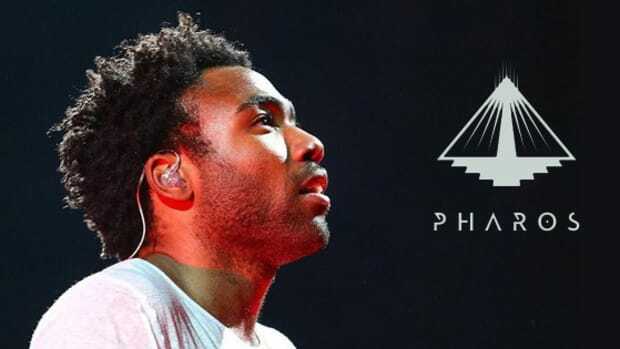 Along with Hiro Murai, who has been in the director’s chair since Clapping For The Wrong Reason and is known for his ominous themes and supernatural occurrences in his past work with Flying Lotus and Earl are proof enough, Donald is exploring the idea of what a music video can be in 2015. They&apos;re two very creative minds that are drawing from the darkness, exchanging flashy for depth, without losing the fun. Even though he isn&apos;t necessarily widely acclaimed and credited, Childish Gambino continues to prove why he&apos;s becoming one of hip-hop&apos;s most electric acts with every video release. He’s evolved from the jubilant fireball in the garage. I don’t think any other artist has made the leaps and bounds that Gambino has, the progress from his beginning to now is outstanding. He’s found his voice, his imagination, his definition of "bigger" and is fearlessly delivering some of the best content in the game. How many other artists are putting this much thought and work into their releases? Who else is offering up the kind of material with enough depth to make fans develop intricately complex, completely-insane-but-maybe-not-insane-at-all-but-maybe-insane theories? He&apos;s the awkward hero saving us from ordinary boredom, by being an outcast, a stoner, and most importantly, an alien. He’s no longer an actor turned rapper, he’s an entertainer reaching the height of his creativity.